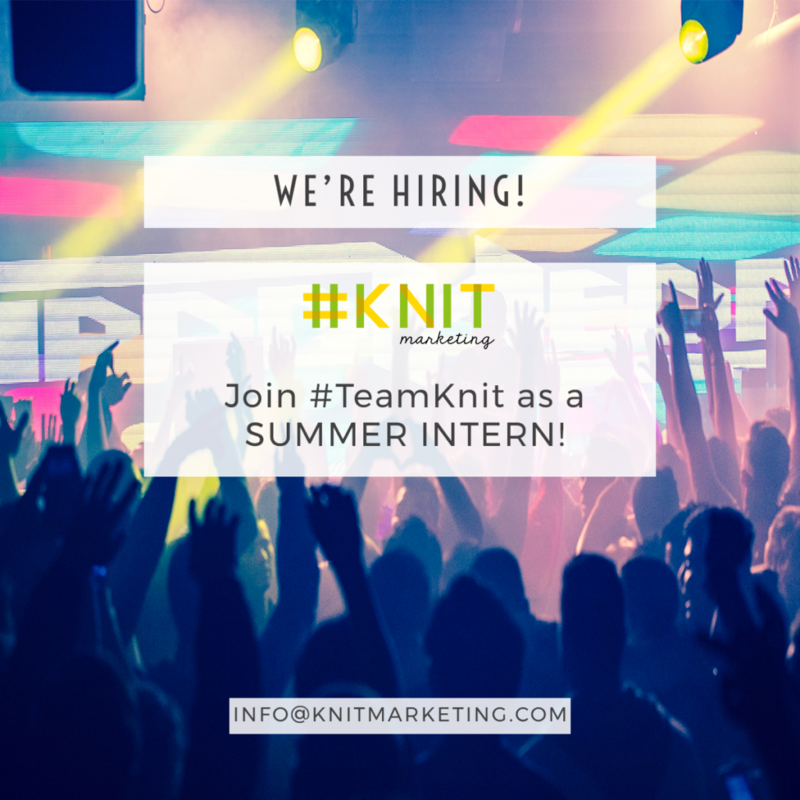 Join #TeamKnit as a Summer Intern! It’s already been 2 years since Knit Marketing began recruiting for our first summer interns and we are ready for round 3! If you (or someone you know) are a teen looking for part-time summer work, interested in learning more about web marketing, now is your chance to apply to be a vital part of #TeamKnit! Please see below for the job description and to fill out an application. Learn about digital marketing – social media, email campaigns, blogs, influencer marketing, etc. Research relevant content for Knit clients. Plan and schedule social media posts. Keep track of analytics and communications. Learn how to plan and execute a digital marketing strategy. Must be at least 16-years-old. The Knit team usually works on Saturdays and Sundays, but time can be flexible. About Knit Marketing: Knit Marketing is a social enterprise that hires teens and young adults to manage social media, blog, and email campaigns for small to medium sized businesses. Knit Marketing also helps clients to create and maintain websites that are aligned with the companies’ marketing needs.